Sadly Chris Nolan's epic finale to his Batman - The Dark Knight Trilogy is a year away from being released into cinemas on 20 July, 2012. 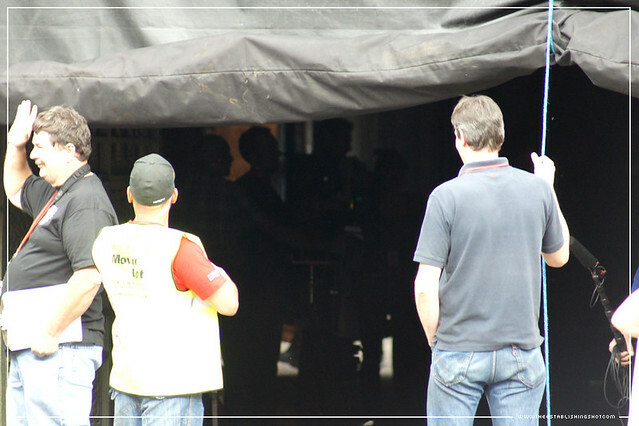 The bulk of London based filming has now finished and this week we were treated to the release of the first 1:29 minute The Dark Knight Rises teaser trailer. 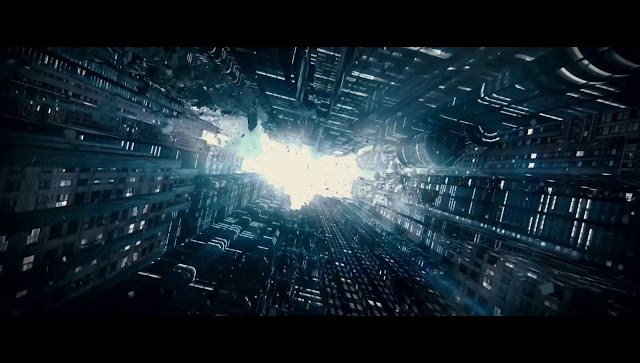 For those who aren't familiar with the Batman mythology it may seem as mysterious as the first Inception imagery to be released however for those who know the Batman mythology, although visually engaging as all Nolan's work the narrative shown seems to be fairly clear. 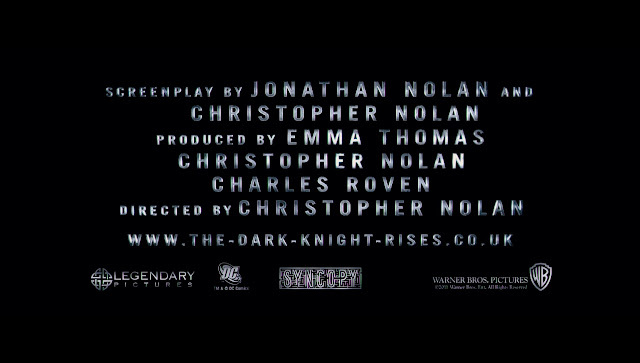 Having said that as always Nolan has more tricks up his sleeve than the Joker at a card game. After reading a particularly bad and uninformed discussion of the teaser trailer earlier on a national paper's website I thought I would do a quick analysis over lunch so those less familiar with Batman mythos can be brought up to speed. Visuals: We are panning upwards on Inception like architecture of Gotham buildings. The buildings seem to be creaking, rumbling and burnt, with ash floating around. 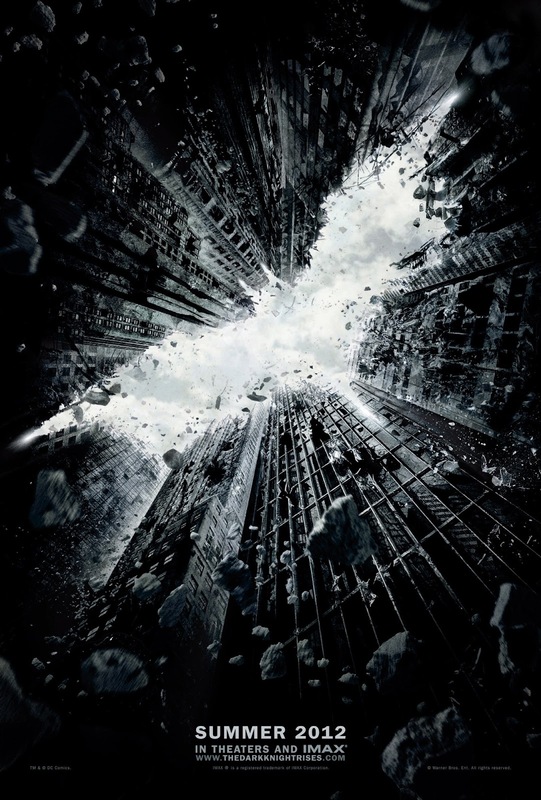 Gotham has been shaken to its foundation. 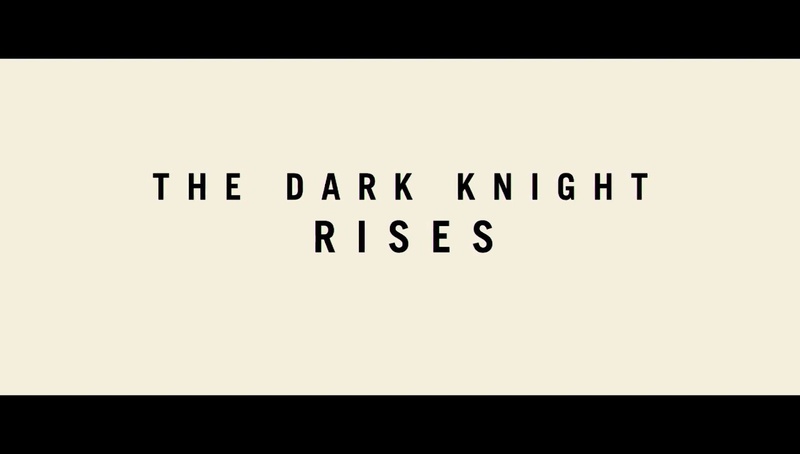 The Establishing Shot of the The Dark Knight Rises Teaser Trailer serves a number of very important purposes. Firstly it reminds us that Christopher Nolan created Inception. Not too important to his fans or Batman fans that are excited about his next film regardless. But it is a reminder that we can expect film quality of Inception like proportions. Within the Batman mythos - Batman was created out of revenge to protect Gotham City but he is integrally more tied into Gotham's very essence Gotham is Batman and Batman is Gotham. The state of each reflecting and impacting the other. 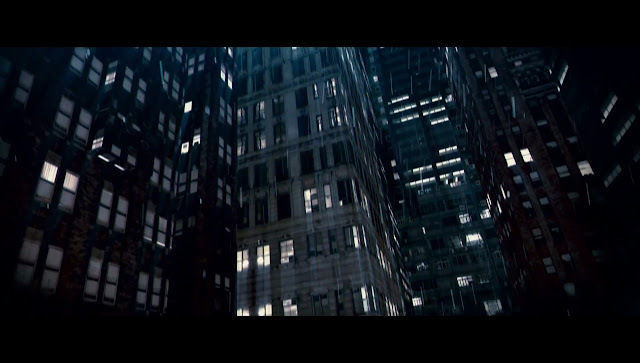 The Establishing Shot tells us that Gotham has been rocked to it's foundations and seems to be on the verge of falling. Whether this is the result of the Jokers activities in The Dark Knight or a new menace is not explicit. But we now know that in The Dark Knight Rises Gotham is on the verge of destruction as is the Batman. 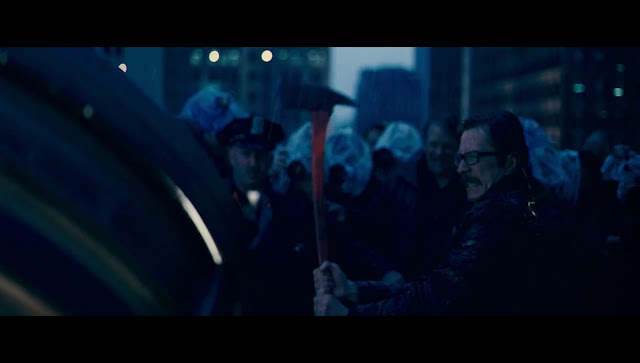 The stakes have been raised and the entire city of Gotham is at risk. How does this differ from the menace in The Dark Knight where the inhabitants were under threat from the Joker? 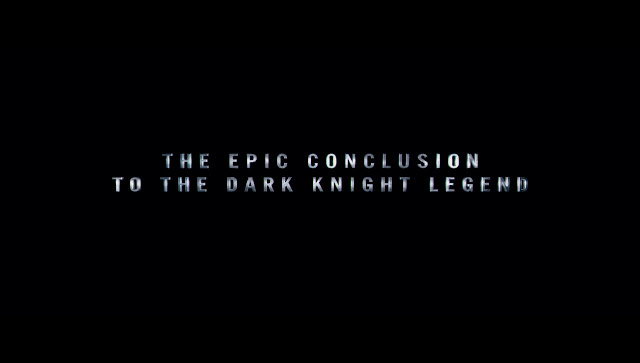 Nolan is bringing us back to the very reason Batman exists. To protect Gotham. If Gotham falls so does Batman and everything he is. 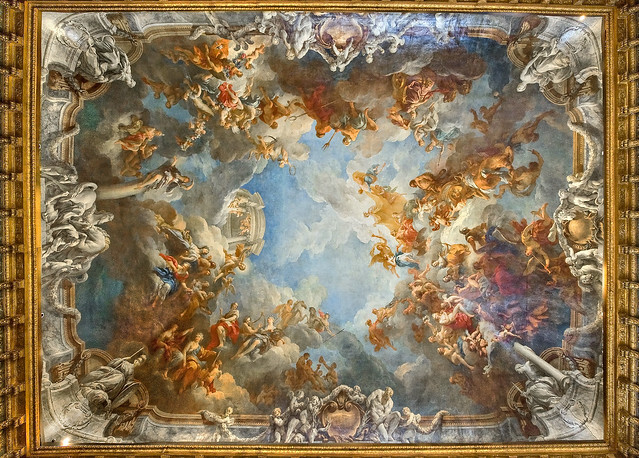 It is also part of the motif of The Dark Knight Rises. 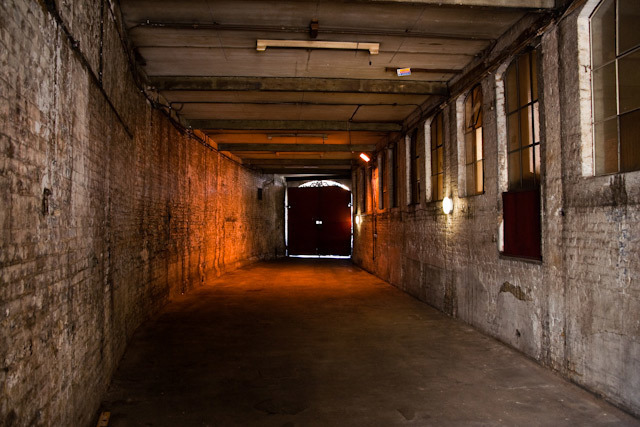 As we pan up the shaking buildings more is revealed that ties into themes within the trailer and the wider film marketing that is Movement / Journey along a tunnel/ light at the end. 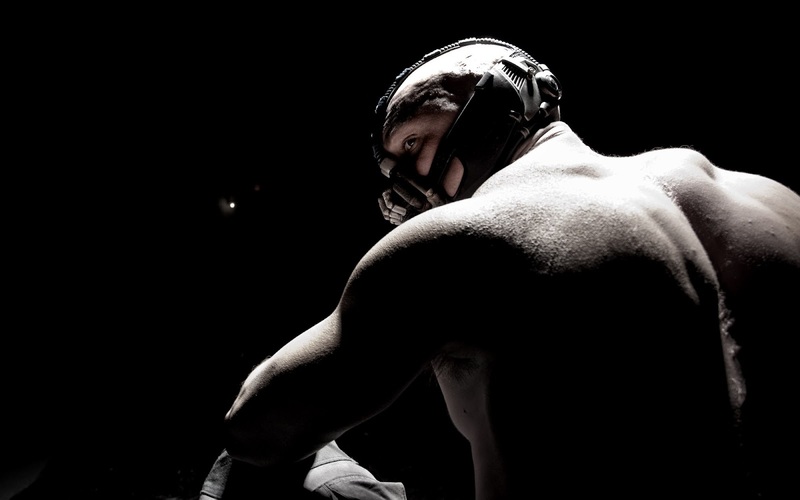 As introduced in the first picture of Tom Hardy as Bane. Initially I thought that light in the distance was well a light, but now believe that the Bane picture was taken during the first London, St. John Street shoot and the light is actually emanating from the double doors of the Farmiloe Building driveway. 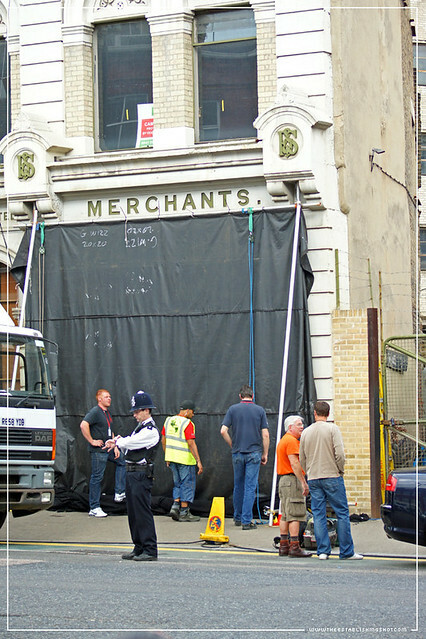 Picture from the Londonist.com website. 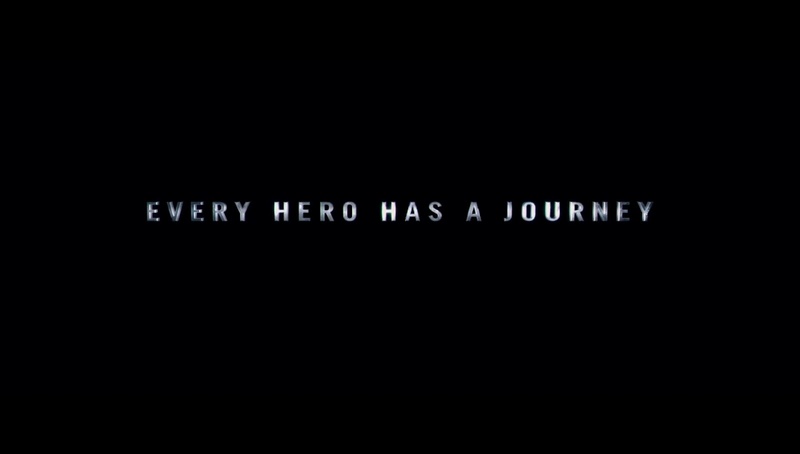 Every hero has a journey. This ties into the bigger picture of story telling and how and every archetypal protagonist character or hero follows a set of growth steps on a journey to overcome something and find themselves. Christopher Nolan is also telling us that each of his Batman films are part of a larger story arc, the story or a journey that Bruce Wayne is on. From Batman Begins - And we very literally we see a Pre Batman, Bruce Wayne (Christian Bale), on a journey, in fact walking over a rise towards Ra's al Ghul's League of Shadows lair for training in Batman Begins. This reminds us of Ra's al Ghul and the importance of his place within Bruce Wayne's journey. If you make yourself more than just a man..."
Again this takes us back to the beginning and the importance of Ra's al Ghul within Nolan's Batman universe. He trained Bruce Wayne, giving him the physical skills to become Batman as well as set him on the path that mentally defined who Batman is. 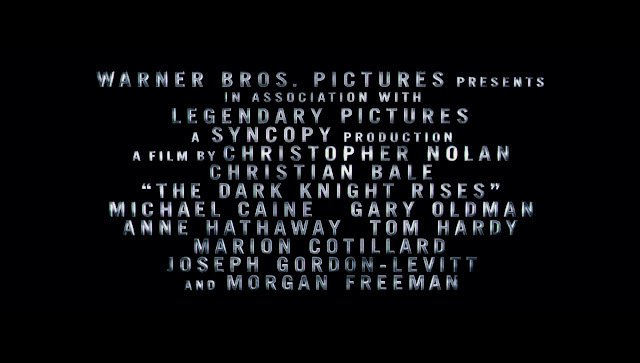 You could read that this means that The Dark Knight Rises will be the final Christopher Nolan Batman film and that Bruce Wayne's journey ends. 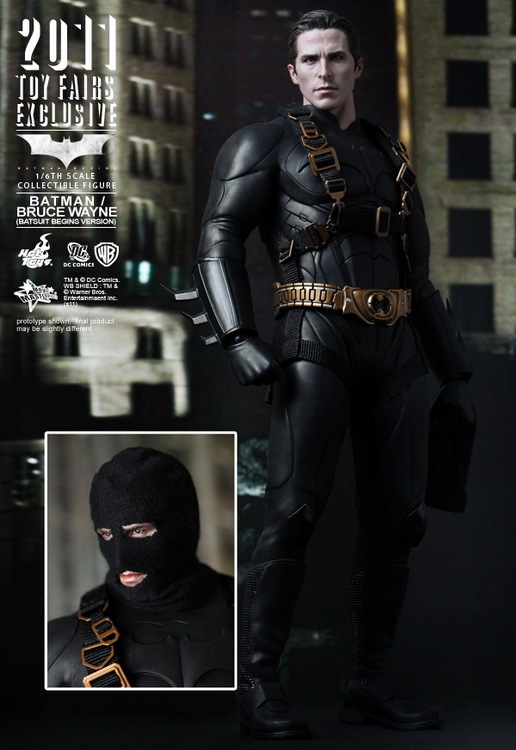 Either by death as The Dark Knight transcends the physical world and becomes a legend that inspires the people of Gotham to stand up to crime and corruption or more likely - at journeys end Batman finally overcomes the enemy that has been hindering and holding him back throughout the series, his greatest obstacle - himself. 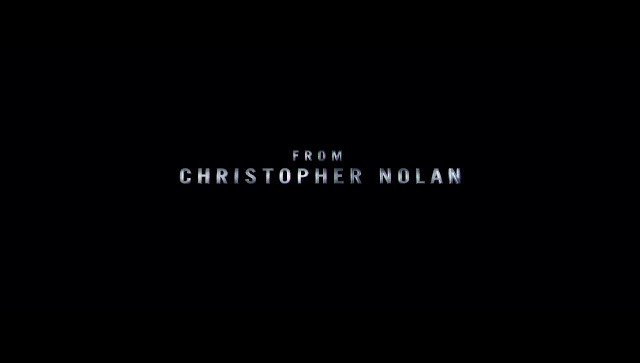 Nolan has made a lot of effort to give Bruce Wayne depth by showing his moral struggle throughout the series. Bruce Wayne's journey ends when he finally accepts/understands who he is and is no longer morally tortured as there is no longer any doubt or hesitation that he is The Dark Knight that needs to rise. From Batman Begins - We see Bruce Wayne surrounded by bats whilst he rises, this is his first adult visit to the bat cave, signalling growth and reinforcing the journey elements of Bruce Wayne as this was another large step in him overcoming his own fear and mastering himself. Secondarily this was a pivotal moment in the series as this is when Bruce Wayne adopts a Bat theme to his vigilante persona. 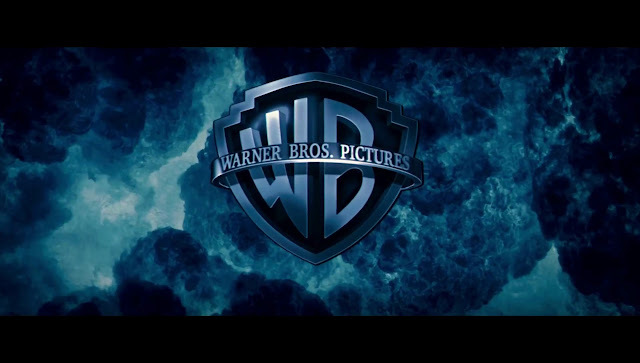 ...if you devote yourself to an ideal then you become something else entirely... "
..., a legend, Mr. Wayne. 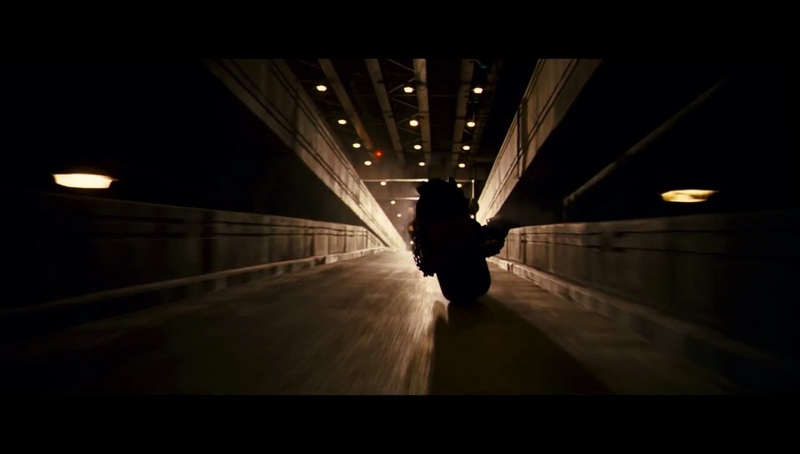 A legend..."
Visuals: From The Dark Knight - We see Batman speeding away on his Batpod at the end of The Dark Knight. 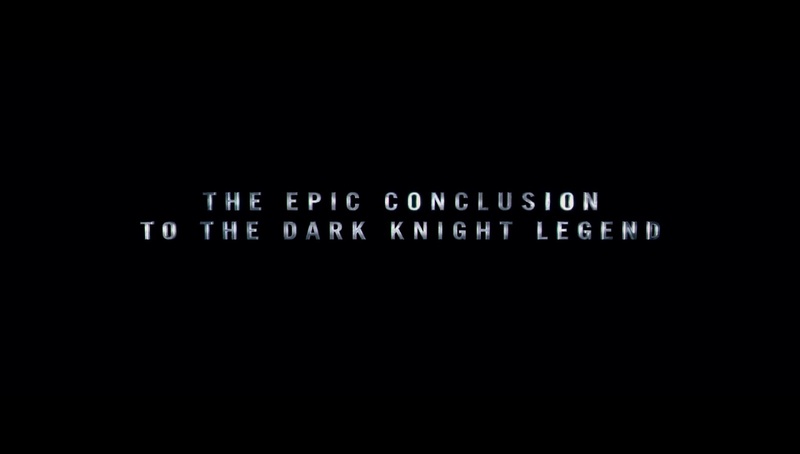 This again reinforces a continuation of Bruce Wayne's journey. Also in Batman Begins he was walking, now he has transport. However it also serves to remind that Batman has been set back on his journey, he is not in the Tumbler as at the end of The Dark Knight Batman is Public Enemy No.1 hunted by the authorities. He is not at the end of his journey yet. 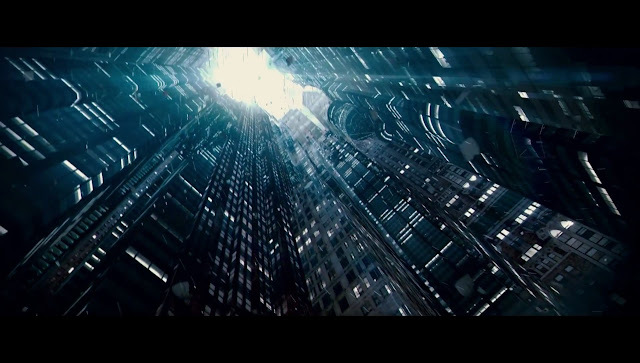 Again Nolan uses the same visual theme as with the buildings and later with the tunnel of moving towards a point. 9. 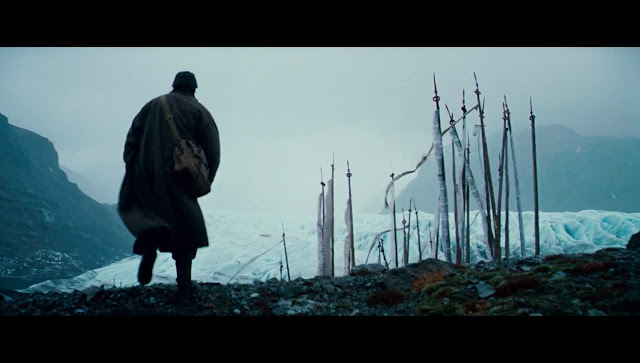 The Reward - Nolan switched this out as with The Empire Strikes Back we were left hanging with the stakes raised and a distinct feeling that the story has more to come. 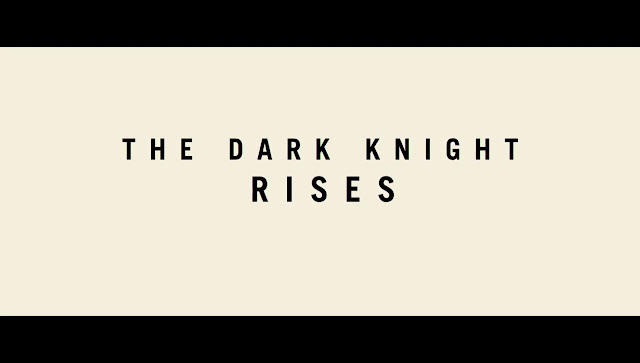 At exactly 00:30 we are introduced to some new visuals from The Dark Knight Rises. Visuals: We see Commissioner Gordon (Gary Oldman) lying in a hospital bed, cleary not in good shape as he needs an oxygen mask to assist his breathing. He is talking to Batman. We were in this together"
Presumably this is Gotham City Hospital and was filmed at the Delta Point Building in Croydon. As Batman is still being hunted in the events leading from The Dark Knight, Bruce Wayne has reverted to a variation of his pre-Batman Survival suit from Batman Begins to climb through a window to see Commissioner Gordon. "We were in this together" echoes the dialogue from Batman Begins when Batman and Commissioner Gordon's first meet. 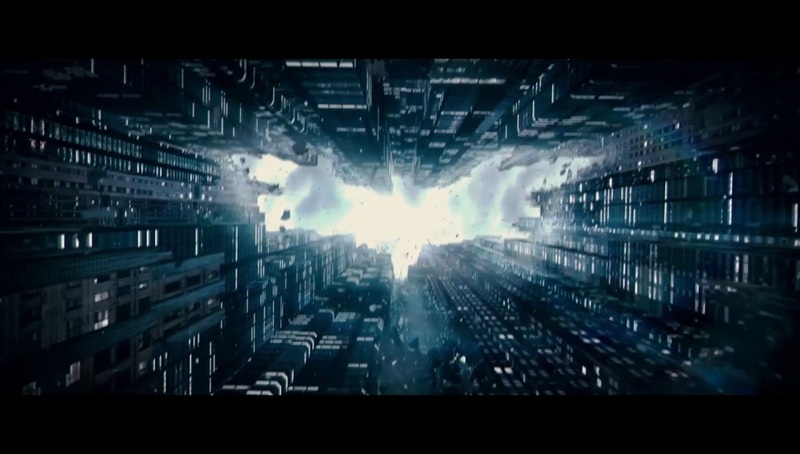 Visuals: From The Dark Knight - We see Commissioner Gordon and authorities destroying the Bat-signal. Visuals: We continue panning up Gotham's crumbling architecture. Again the journey motif is echoed as we continue moving till we get a glimpse of the skies. Visuals: Back to Commissioner Gordon in the hospital bed. Visuals: We see a young malformed boy in badly fitting rags climbing up a dark stone tunnel towards the skies. Initially some may mistake this for a young Bruce Wayne climbing out the bat cave fall from Batman Begins. However Bruce Wayne never climbed out on his own his father Thomas Wayne helped him up. This is our first look at a young Bane (Tom Hardy), a villain from The Dark Knight Rises. 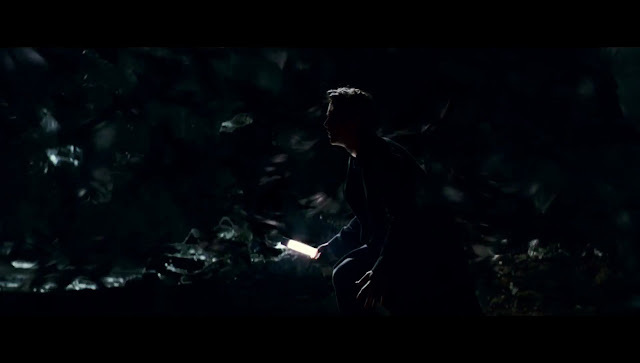 The similarities between the Wayne Bat cave tunnel from Batman Begins and this scene are very intentional. And the Gotham buildings seem to be forming a similar challenge for Bruce Wayne to overcome. This is to show the equally balanced dichotomy of Bruce Wayne and Bane. While Bruce Wayne had a father to nurture and protect him. Bane had no one. Back in the early 1990s when DC Comics wanted to revitalise the Batman franchise. 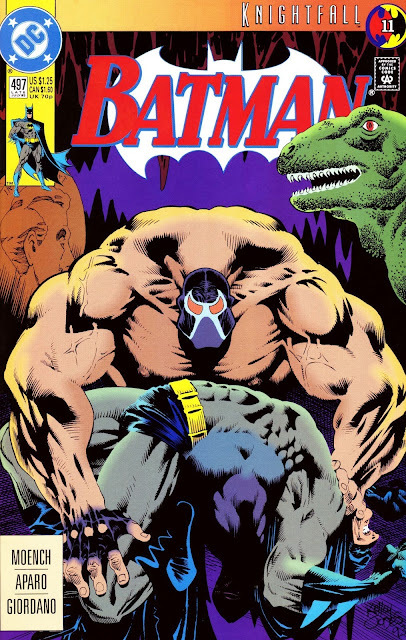 They thought that the only way they could introduce a new villain that would have an impact on the Batman universe, was if the villain could be Batman's equal, thus Bane was born. Batman's equal in intelligence and agility but with increased strength brought on as an effect of a narcotic called Venom. Bane grew up in the Latin American penal system and learned to survive and eventually thrive on his own. They were two sides of the same coin, one good one bad. 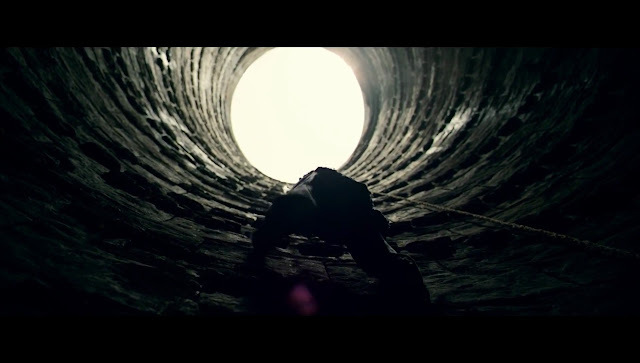 At one point Bane climbed out of certain death from the Latin American jail, on his own, as seen in the teaser. And once he set his eyes on Gotham not even the Batman could stop him. As Gordon says "...this evil rising". 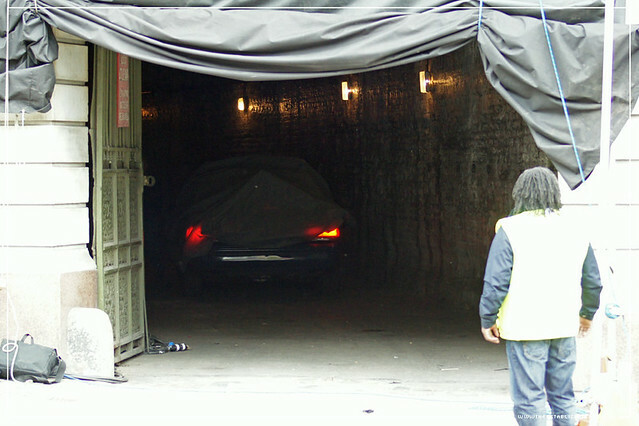 The mirror opposites of the characters are accentuated by Bane climbing out of a similar tunnel to the Wayne Bat cave tunnel without help. 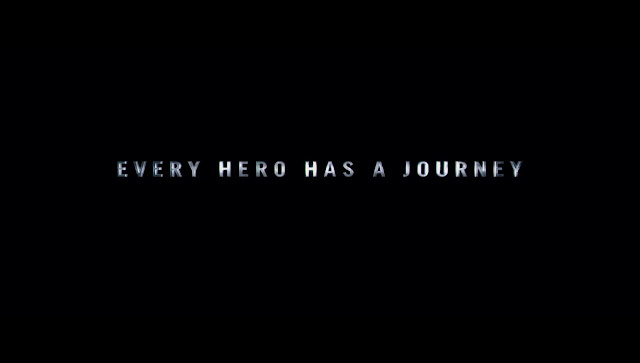 The journey motif reoccurs as Bane climbs upwards towards the light on his own journey. A similar light as seen above the buildings in Gotham buildings snippets. Visuals: A slightly beardy Bruce Wayne doing push ups in a dark stone building that could be part of an underground system or a jail. What if he doesn't exist anymore?" 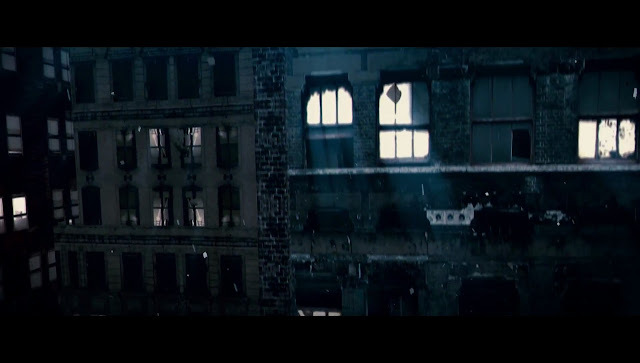 The only thing I can think about this scene is that, in Batman Begins we see Bruce Wayne fall out of bed and do some press ups while conversing with Alfred (Michael Caine) this could possibly be to show how his circumstances have changed and Bruce Wayne is getting back on the horse so to speak. Alternatively Chris Nolan could be playing a visual trick and this is actually a younger pre - Tom Hardy Bane, exercising in jail on his journey. Visuals: A blurry flash of Bane to a jarring boom. Back to Gordon. 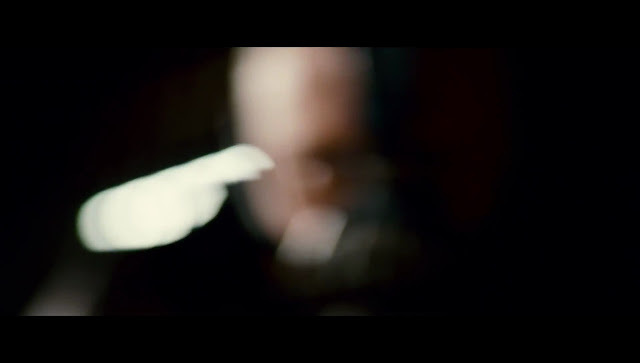 Visuals: Bane's masked face is revealed again a jarring boom. 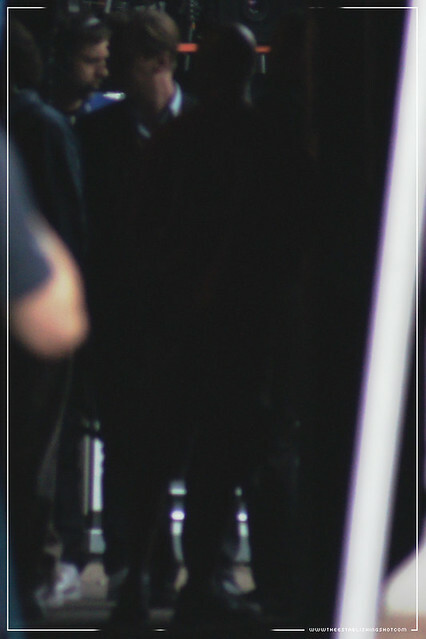 Our first proper look at Bane and his venom mask. The mask releases the venom gas that gives Bane his strength. In the comics he had a dependency on venom and could not function without it. 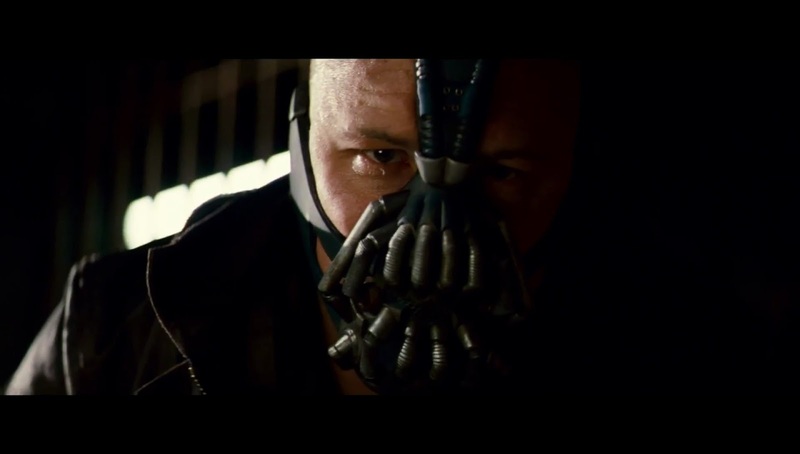 What is interesting is that Bane is looking directly into the camera and the first clip is blurry, like it's someones POV and their eyes cannot focus, also Bane's angle is that he is looking down onto the person. 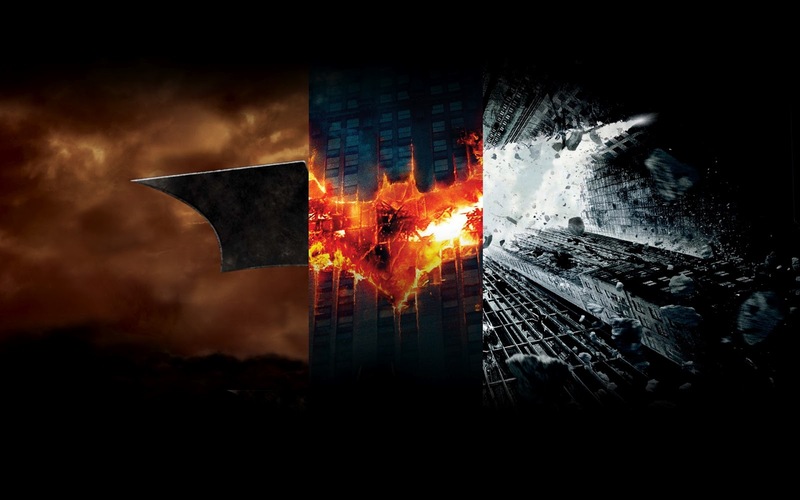 Visuals: Back to the buildings where we now see the sky and the bat symbol is revealed as in the teaser poster. 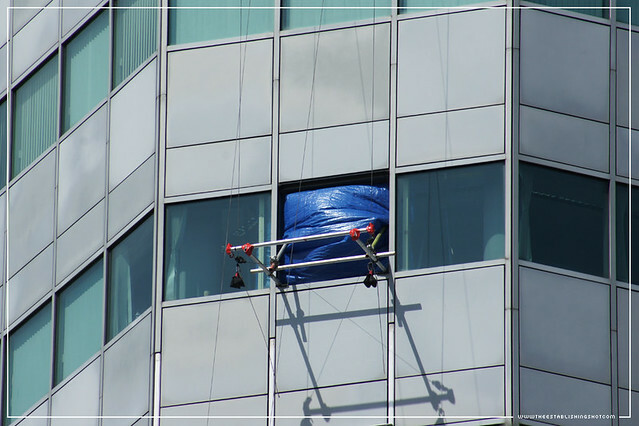 While the buildings continue to shake loose, debris falls we zoom up into the white sky. The climbing out of the tunnel towards the light theme is now fully realised. 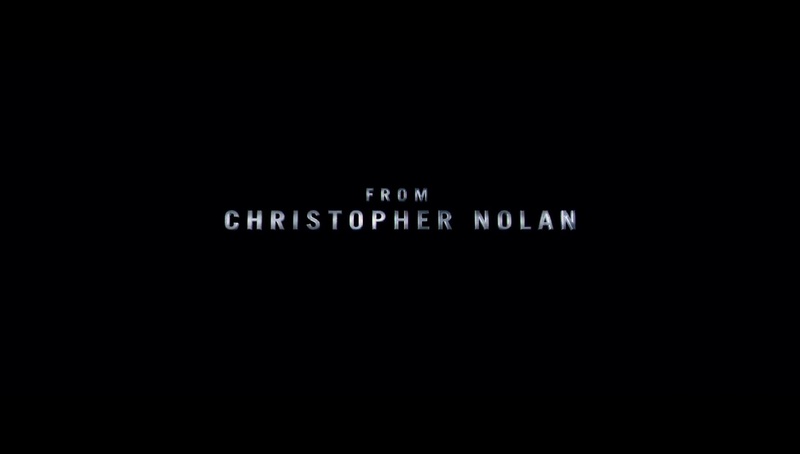 I have to say that Christopher Nolan's use of the Bat symbol throughout the series has been masterful and this final reveal brilliant. We all expect the symbol to show up and the fact that it done in a way that is so unexpected yet tied into the Batman's mystique is great. 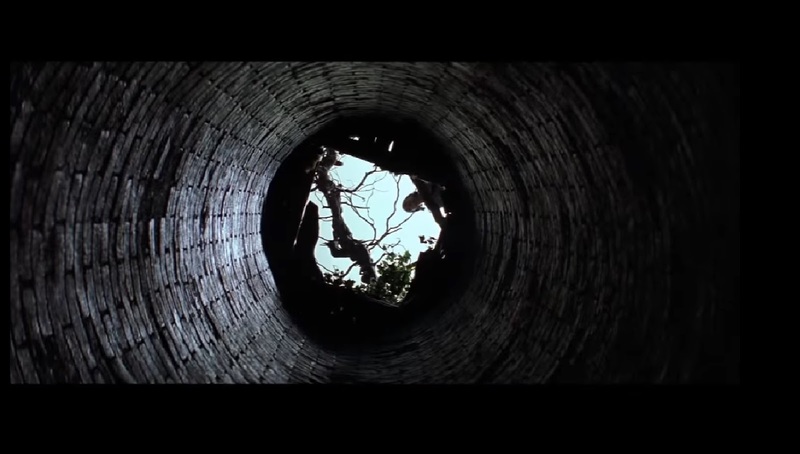 The metaphor of Bruce Wayne's journey starts at the bottom of a well, the source of his inspiration and the events tied into his dark half. The Gotham buildings forming a new, and bigger challenge that he will have to overcome but the whole moving towards the light symbolism a troubling memento mori. 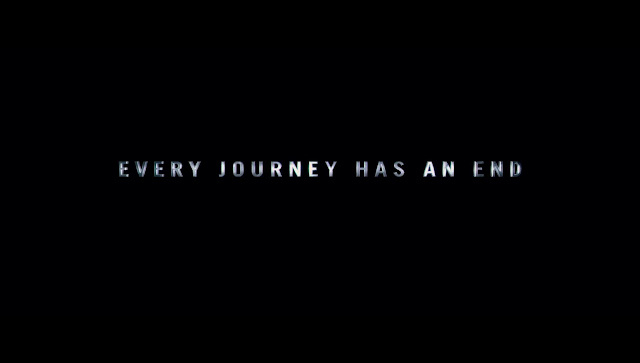 But as the titles say Every journey comes to an end. 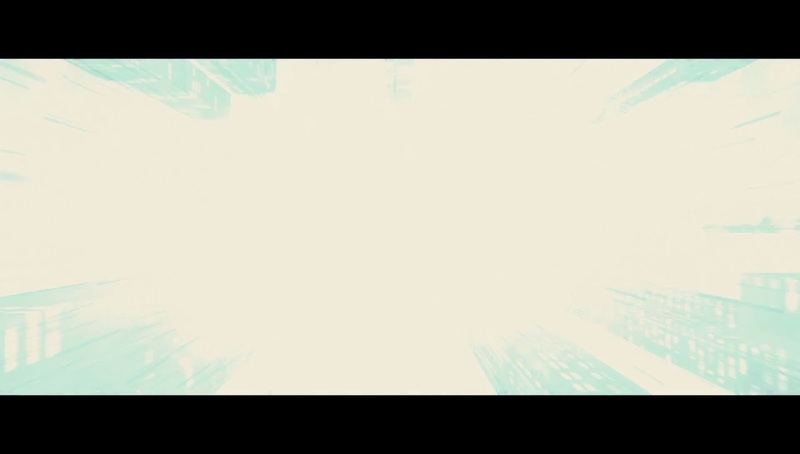 The music crescendos into the Bane chant from the teaser site. 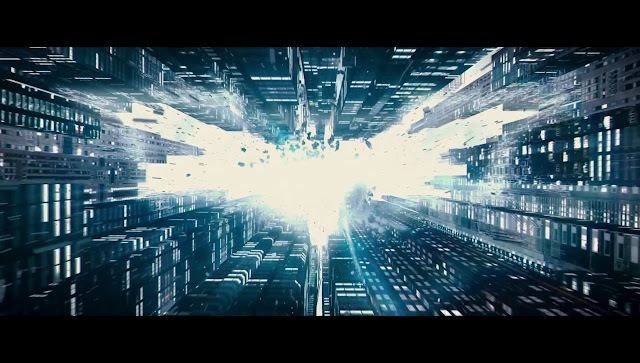 I have to say the only disappointing bit of the teaser for me was the sound up until this point, maybe the Inception booms are now so iconic and proliferates film trailers so much that I was expecting something different.  Having said that I have only seen the teaser trailer online and not on the big screen as yet. So it may be even more effective in the right environment. Visuals: Finally we see Batman in his new armour bat suit in what looks to be an underground sewer, the scene seems to start mid fight as he looks to be slightly reeling. And then Bane enters the frame left, striding purposely and domineeringly towards Batman. 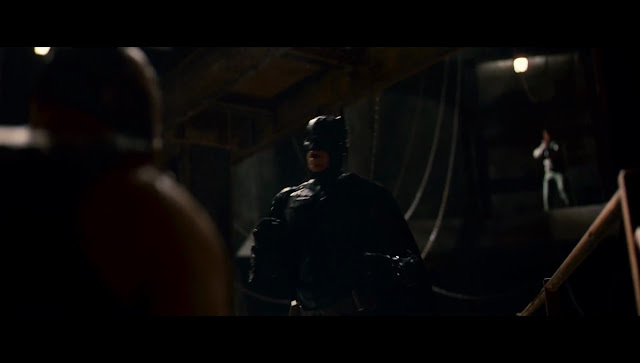 Showing that Bane is in control and pummelling the Bat. 12. Return With The Elixir - Again expect Nolan to break from form and switch it up.